After tropical storm Irene struck NJ in August 2011, The Rahway Flood Rescue Team was formed with volunteers from within and outside the Rahway Police Department. 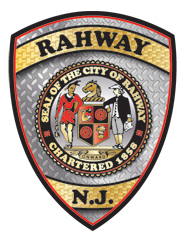 Learn more about the Rahway Flood Rescue Team. A hurricane warning means that hurricane conditions are expected within the warning area, generally within 24 hours.